Here is a chart showing the difference between the Pentax 645, 645N, and 645NII medium-format cameras. (1) Autofocus on 645N & 645NII. (2) Single-mode knobs with green-for-auto indicators 645N & 645NII. 645 has fewer knobs, and sets modes through LCD panel and menus. (3) Data Edge Printing on 645N & 645NII. (4) Matrix metering, auto-bracketing, and exposure lock on 645N & 645NII. (5) Mirror Lock-up on 645NII. (Most people say the mirror is well-damped and this isn't important). Everything else is pretty minor. Maybe lack of self-timer on 645 matters to some. Thanks for the helpful info. But I have one very minor quibble. I recently found an external battery pack that would appear to be part of the original 645 system. But the chart above says the original 645 didn't have an external battery pack. 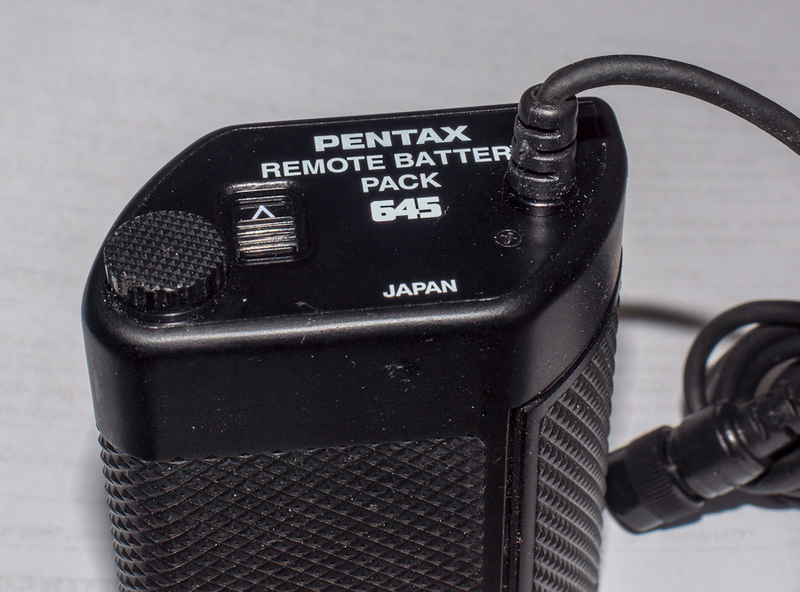 As you can see in the photos below, the writing says "Pentax Remote Battery Pack 645" and the finish on the grip is identical to that of the original 645, which is distinctly different from the finish of the 645n. I tested it out on my 645n and it works fine. 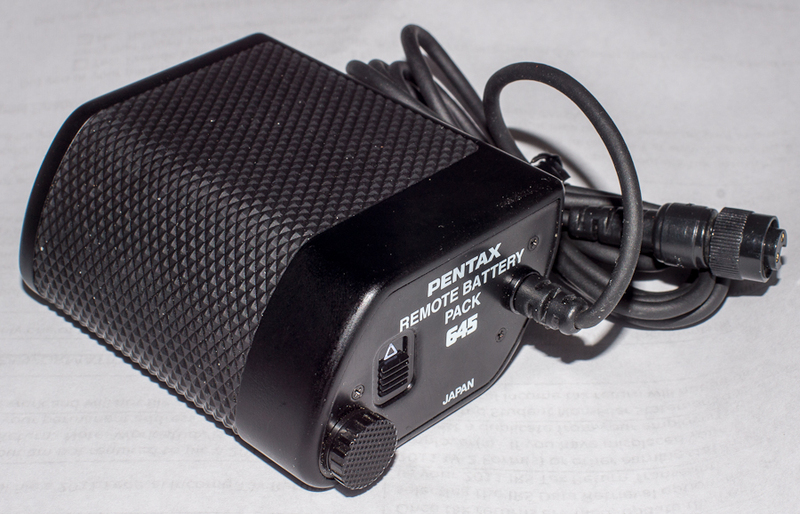 remote cord for 645 is a mechanical ones but for 645n/nII it's the same as for mz/zx series — cable switch F.
2. remote cables have somehow not been same, so the F does the 645 N, but CS-105 / CS-130 + TS-110 do the 645 NII. Lots of misinformation on these around the web (and don't rely on ebay descriptions), but 645NII manual has it right (naturally). All models will of course standard mechanical release cable.